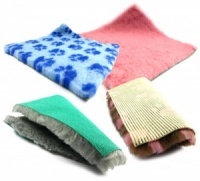 Tired of muddy dog paws all over your car, on your furniture and across your floors? We have the answer. 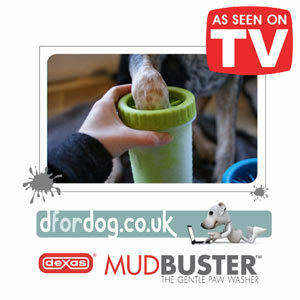 Introducing Mudbuster by Dexas - the original, award-winning dog paw washer. It is like magic. Muddy paws go in and clean paws come out. Woof! The Dexas MudBuster easily defeats dirty feet! It provides a quick, gentle yet thorough cleaning of a dog's muddy paws. 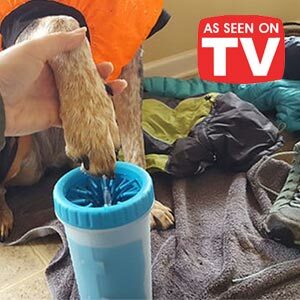 Inside the easy-to-grip tumbler are soft, gentle, thick silicone bristles which loosen dirt and mud from your dog's paw. 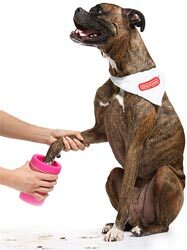 Simply add a little water to the container, insert a muddy paw, do the twist, dab the paw dry, repeat for 3 more feet. Use anywhere. 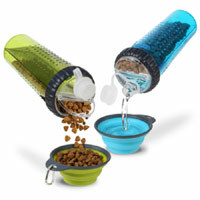 Great for at home, the dog park, the beach and all your pet's adventures. But it is not just about mud and dirt. MudBuster can also help remove irritants and allergens from your dog's feet, say after a winter or summer walk with snow, ice, salt grit or grass pollen. After use it is easy to empty and clean. It can even be popped in the dishwasher. 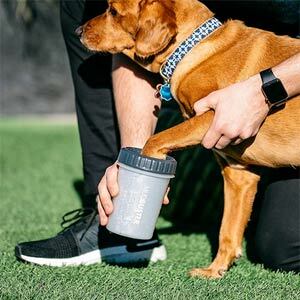 MudBuster is BPA free. 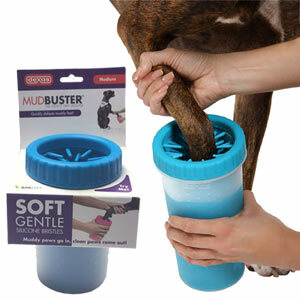 The Medium MudBuster is perfect for medium sized dogs. It measures 6 inches tall and 4 inches wide. 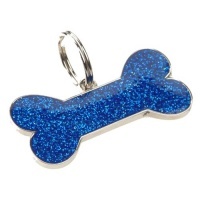 The top opening allows a paw up to 2.5 inches wide. Breeds include Australian Shepherd, Beagle, Border Collie, Boxer, Corgi, English Bulldog and many Terriers. 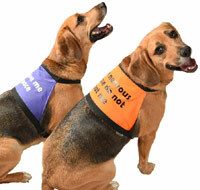 The Large MudBuster is perfect for large and extra-large sized dogs. It measures 8.85 inches tall and 4.75 inches wide. 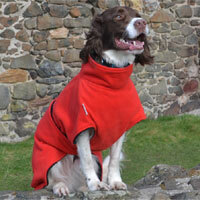 The top opening allows a paw up to 3.5 inches wide. Breeds include Bulldog, German Shepherd, Golden Retriever, Labrador and Husky.